With advances in VoIP and network technologies, business class phone systems have become more affordable and scalable than ever before. Call-One® offers reliable enterprise-class voice, video and data services including On-Premise and Hosted PBX. The days of hardware-heavy and expensive PBX systems are long gone! Instead, businesses of all sizes are turning to VoIP Solutions that are flexible, user-friendly and help them save money on their monthly phone bill. Already know what you want? Get a quote. 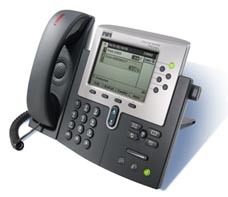 With a VOIP system in place your business will notice increased functionality and reduction of costs. Business Class phone systems enable mobile employees to use their office extension from their desk, their home or on the road appearing as if they were in the office – and without having to give out their mobile number! VoIP solutions allow you have a national presence by acquiring local numbers in select cities and adding them to your phone number pool. Your current and potential clients can now call you locally without incurring long distance charges. Business VoIP solutions also give you the option to bridge nationwide offices by setting up “inter-office extensions” to eliminate long distance charges between locations. Host a video conference, webinar, product presentation or provide remote support. With enriched features your interaction goes far beyond a regular voice call! Integrate voicemail, fax, email and CRM/Account Software with your phone system. Incoming faxes and voicemails are conveniently delivered to your inbox, and CRM integration lets you know who is calling. Learn more about the advantages of SIP Trunking vs. Traditional Phone Systems.